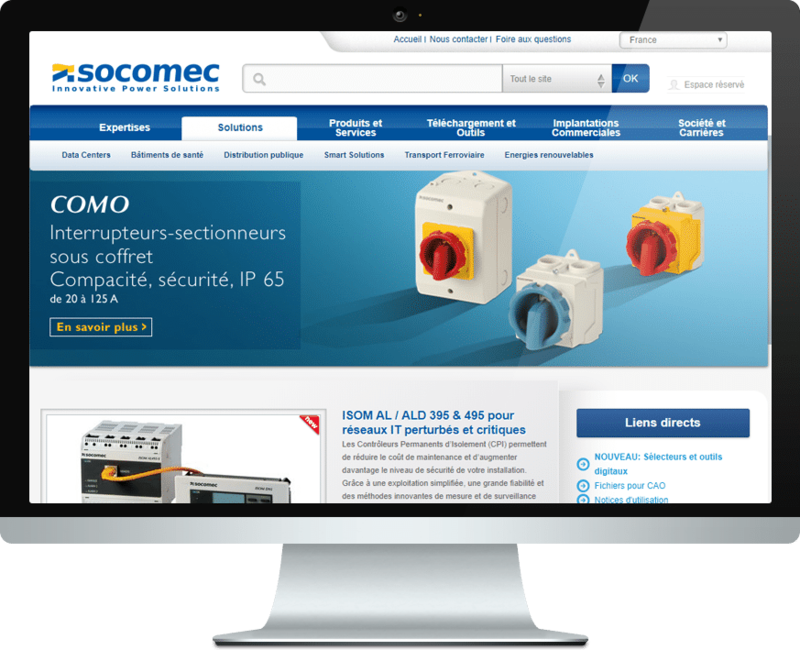 Socomec is a company that designs, manufactures and markets both products and solutions which primary mission is to ensure availability, control and safety of low voltage electrical networks. As an independent manufacturer, the Group is committed to constant innovation to improve the energy performance of electrical installations in infrastructure as well as industrial and commercial sites. As an historical player in public distribution equipment, Socomec is involved, since 2013, in Smart Grids projects, such as European demonstrators. By supplying means to monitor distribution networks, solutions dedicated to photovoltaic production, energy storage systems as well as a complete offer of customised solution services, Socomec brings an answer to smart grids’ needs. Indeed, the solutions integrate distributed renewable energy generation and improve the flexibility of your electrical distribution grid.